It has been a while since our last post but that’s not to say we haven’t been busy! The last two years have seen a lot of change and development in and around Architerra Designs. As we looked for different options to explore, we decided our products should not just focus on aesthetics, but more importantly; serve a function. Stormwater management was our answer! There are several different methods to control stormwater. 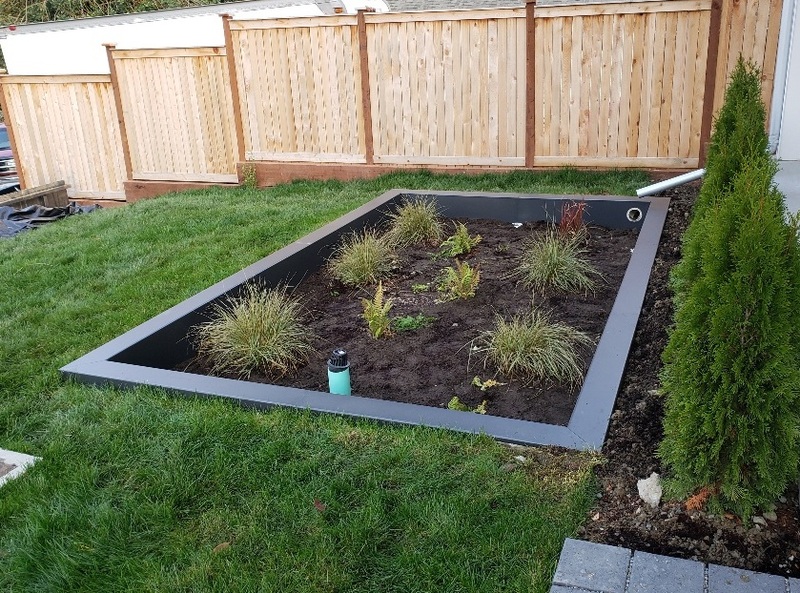 A popular method in the Seattle area is with bioretention planters. These are typically concrete basins at ground level that collect some or all of the surface runoff, and filter it through specially mixed ‘bioretention’ soil. At the bottom, there is a layer of gravel and usually a drain. The basins can have closed or open bottoms depending on different circumstances and functions. Other popular methods include rain gardens and rainwater cisterns. Rain gardens typically have a more natural shape and are less rigid. These can be lined or unlined and blend in with the landscape better. However, more space is required to achieve the same stormwater management function as a straight sided bioretention planter. Cisterns are also a method of rainwater harvesting that diverts surface runoff to a collection tank for later use. These can be simple or complex depending on the size and scope of the project. In a former life as a landscape contractor, I had the privilege of installing and working with many types of stormwater management systems in a diverse set of landscapes. These ranged from basic boxes to unique and award winning designs throughout Seattle. 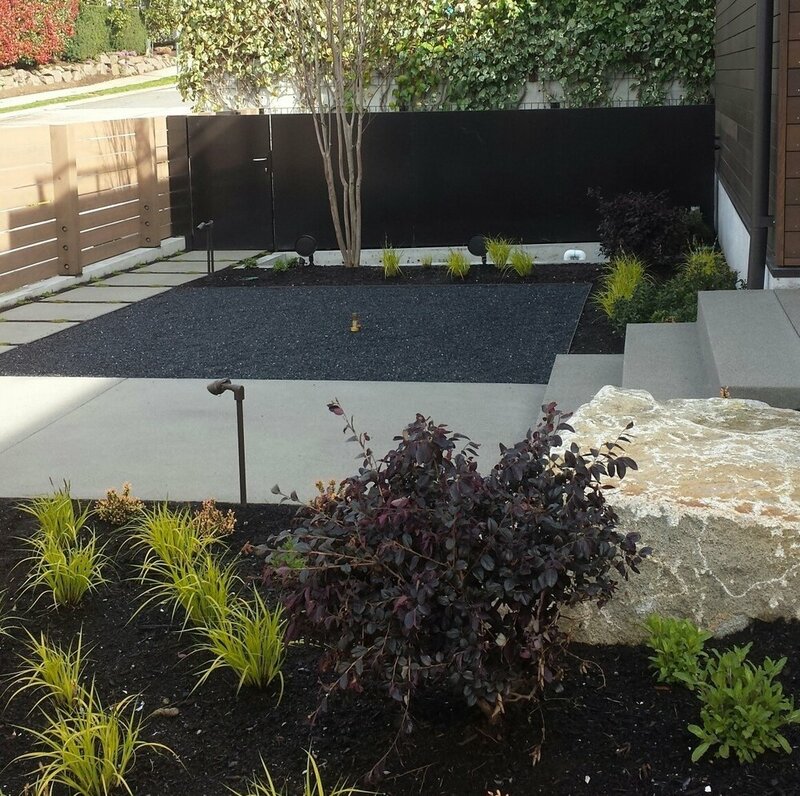 Check out the bioretention projects we were involved with below! After a lot of head scratching, tinkering, and building, we are getting ready to launch our line of bioretention planters in March of this year! Stay tuned for updates. If you would like to get advanced information or talk to us about a custom stormwater project, please contact us or sign up for our newsletter.